Wendy Quinn joined Hemophilia Saskatchewan in 2009. Prior to joining the Board, she was aware of the good work that HSK was doing in the Saskatchewan community. Only after her son asked, "am I the only person with Hemophilia in the world? ", did she decide to take an active role with the Society. Wendy finds the volunteer work of Hemophilia Saskatchewan fulfilling and looks forward to helping other countries with Hemophilia care in the near future. Wendy also sits on the Board of CHS, representing the Saskatchewan chapter. She is honored to be on the Board and hold the President position. With Hemophilia being hereditary in Celena's family, Celena is well aware of Hemophilia Saskatchewan. Growing up, Celena and her family were very active in the society. With the birth of her first child, Rylee, Celena decided it was time to take a more active roll and joined the Board of Directors in 2004. A sister, Kierra, and brother, Ayden, soon followed. Both boys are diagnosed with Severe Hemophilia A. Over the years, Celena has volunteered with organizing various activities including Christmas parties, fundraisers, Woman's Conference, and Guys Getaway. Being a member of the society, she has had the opportunity to attend many educational conferences such as Step By Step, Parents Empowering Parents, and numerous Rendez-Vous weekends. Angie Lucyshyn joined the Board of Directors after attending the Women and Bleeding Disorders Conference in 2016. Having family history with hemophilia, Angie’s two sons were diagnosed with Mild Hemophilia A in 2009. She looks forward to being involved with Hemophilia Saskatchewan. 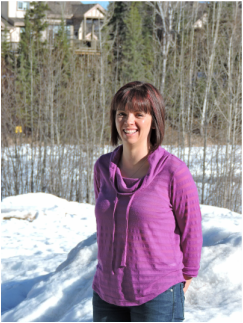 Vanessa Lockhart joined Hemophilia Saskatchewan in the Spring of 2014. Vanessa works as an administrative assistant for the Saskatoon Health Region at the Humboldt District Health Complex. When her son was 3 months old and diagnosed with Severe Hemophilia A, she knew wanted to get involved with Hemophilia Saskatchewan as a way to connect with other families affected by inherited bleeding disorders. It wasn't until she attended her first Annual General Meeting in March 2014 that Vanessa officially joined the Board of Directors. 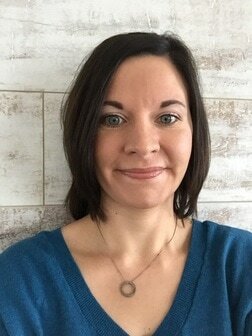 Vanessa enjoys being part of Hemophilia Saskatchewan and looks forward to many years of volunteering. Brittany joined the board as director in 2016. Her parents were very involved in the organization and Brittany spent much of her childhood and adolescent years attending events and volunteering her time. In 2015, her newborn son, Vaughn, was diagnosed with severe Hemophilia A and the family decided they needed to renew their relationship with the chapter to ensure that he has a strong support system to grow up with, along with getting the needed support for the entire family while dealing with his diagnosis. As a teen, Brittany had a youth programming leadership role in the chapter and she is happy to be involved again now with children of her own. Angie Bedard-Haughn has been a member of Hemophilia Saskatchewan since 2005, when her son was diagnosed with severe hemophilia A. With no family history of bleeding disorders, the diagnosis was a shock to Angie and her husband, Dean; they have been very grateful for the supportive community and educational opportunities provided by the chapter. Over the years, Angie and Dean have volunteered for various chapter activities, including the annual Christmas party, Guys' Getaways, and the 2011 Women and Bleeding Disorders Conference. In 2013, Angie joined the Board of Directors. ​Kimberly joined the board in 2017. Coming from family history of Hemophilia, she was always interested in learning more about the disease and becoming involved. 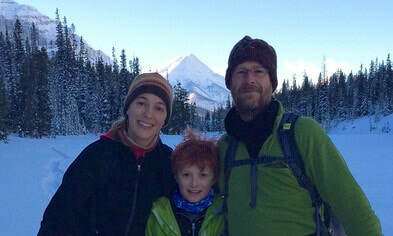 After her son was born and diagnosed with Hemophilia in 2014, they became a member of the Saskatchewan Chapter, looking to connect with others with Hemophilia. Kimberly comes from a strong fundraising background and looks forward to assisting the Society in all areas.